The Cube 205 is an HD video encoder for HDMI sources. This particular unit streams via Ethernet or a single 3G/4G LTE USB dongle to Teradek decoders or content delivery networks. The Cube 205 includes all of the same great features of the original Cube such as a low power compact aluminum chassis, comprehensive transport protocol support (RTP / RTSP / RTMP / MPEG-TS*), and compatibility with any streaming video platform. 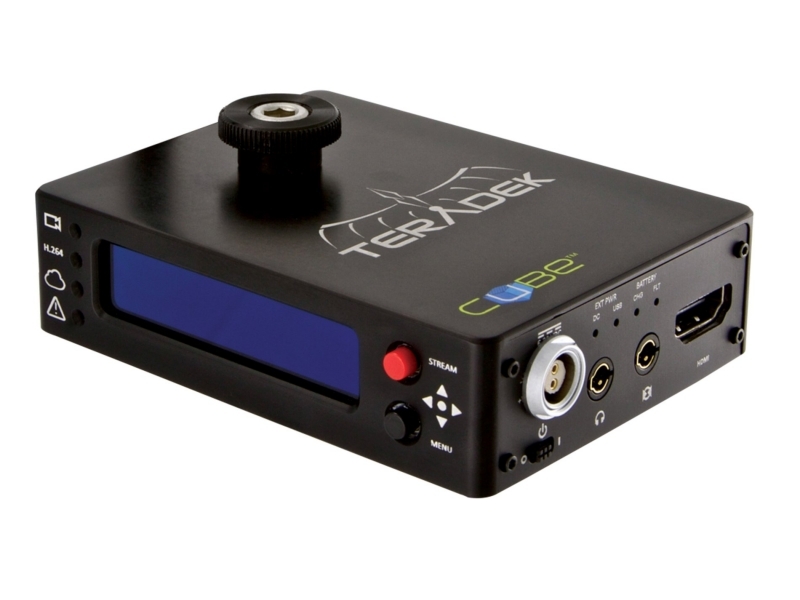 The Teradek Cube 205 is an H.264 encoder that streams HD video over Ethernet and cellular. This unit does not include an internal battery or WiFi.